Stampgram's Studio: Another GREAT Give-Away! 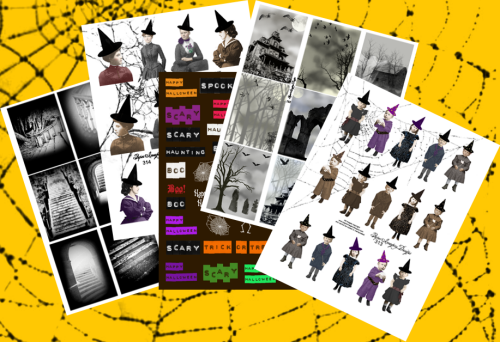 Lori of Paper Imagery Designs has just listed a wonderful Halloween Give-Away in honor of her webstore's one year anniversary. Click this link to see a picture of the fun Halloween Collage Package she is giving away, then go to her blog Altered Art Expressions and post a comment to enter. Also, check out the sheet of stamps she is giving away as well as the other fun stuff she has in her webstore by clicking on this link - Paper Imagery Designs .